This was one of the first things I created using Adobe Illustrator. It was done for fun, not for an actual product (so you won’t find it on your local store shelves). It is obviously strongly influenced by the Art Nouveau style, especially the work of Alfonse Mucha. 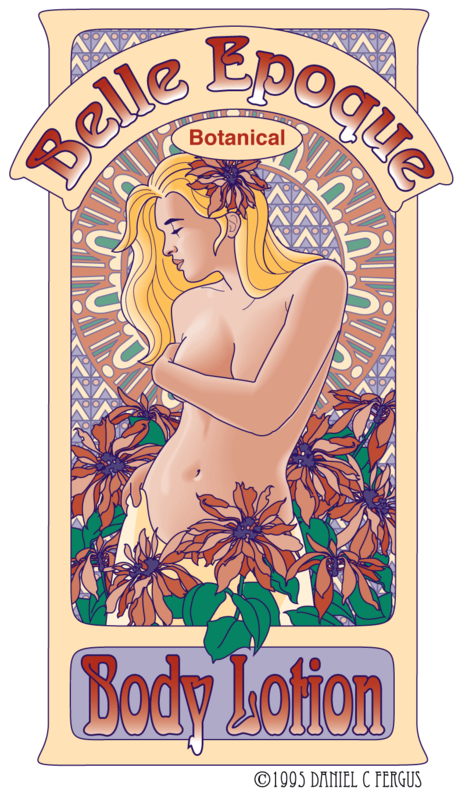 At the time I did this, I was studying Art Nouveau for a Design History course I was writing. Belle Epoque means “beautiful era,” and is a term used to refer to the Art Nouveau period in France, Belgium and much of Europe from about 1890 to 1910.